As an International Organizer from OPEIU/AFL-CIO and as a native Mexican I feel very proud to be part of FLOC’s “Respect, Recognition, Raise” Campaign here in North Carolina. Having thousands of “campesinos” coming from Mexico every year for the harvest season creates a great need for them to have and to belong to a “sindicato” that protects their rights and supports them in labor issues they may confront. 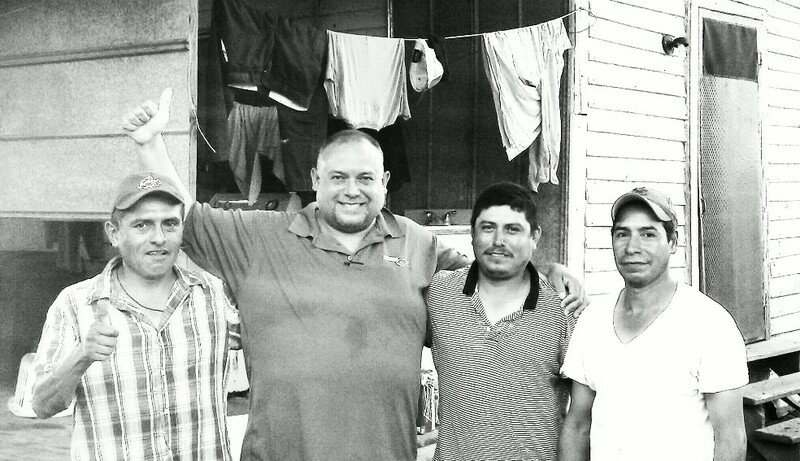 As the campaign develops I am learning of so many amazing stories from my “paisanos”- good, honest and hard working people that are here with the hope to provide a better life for their families back in Mexico. From now on one thing is for sure, every time I eat a vegetable or a strawberry it will come to my mind the smiling face of that farm worker when I shook his hand when he joined the union. That I will never forget. Hasta la Victoria!